Of course, Metroid games aren’t the only ones I’ve developed. I’ve been involved in a variety of other games as well. Actually, there’s another series of titles I’ve been involved with that was released here - the WarioWare8 series. However, this series didn’t originate from my own creativity, and I’ve taken a slightly different stance as a producer on it. Please allow me to introduce four titles that I produced from the WarioWare series. 8 The first title in the WarioWare series was WarioWare, Inc..: Minigame Mania. It was an instant action game released for the Game Boy Advance in March 2003 in Japan. WarioWare: Twisted!9 for the Game Boy Advance came to be because one of my engineers was asked to evaluate the gyrosensor and happened to test it as a microgame interface. Because what he created functioned so well, I immediately took the prototype to Mr. Iwata to show it off. 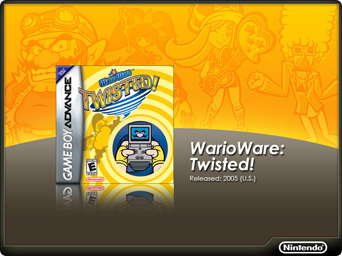 9 WarioWare: Twisted! was an instant action game for the Game Boy Advance, released in October 2004 in Japan. The cartridge was fitted with a rotation (gyro) sensor. It is the third title in the series. The project’s starting point was the moment when Mr. Iwata placed the Game Boy Advance on a chair to test the part of the game where players play analogue records by spinning the unit. 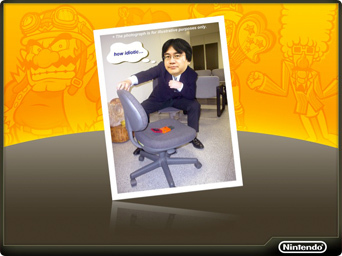 He spun the chair and muttered, “how idiotic…” This was the first WarioWare title that I worked on as the Producer. 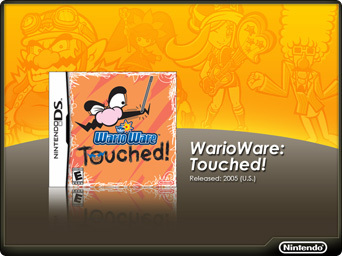 WarioWare: Touched!10 was a Nintendo DS launch title. Its development period overlapped with that of “Twisted.” As a result, we rushed to assign a new director to this project, and a group was created to work on it. 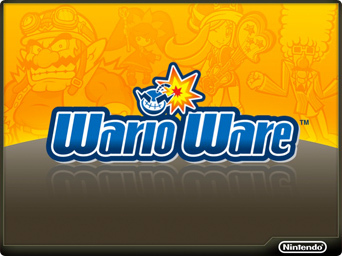 Consequently, everyone working on the project was new to the series, and in the beginning there was a lack of unified awareness among the staff of the WarioWare “tone” and “what made WarioWare funny”. I worked with the new director in selecting viable ideas and controlling the direction of the game. 10 WarioWare: Touched! was an instant action game for the Nintendo DS, released in December 2004 in Japan. It is the fourth title in the series. This is WarioWare: Smooth Moves.11 The intent here was to make a game that could act as a flagship title for the Wii Remote controller, and it was released when Wii was launched. Like with the Nintendo DS, the gameplay was optimised using the Wii Remote but the fact that there was so much we could do was a disadvantage and there were problems with players finding it difficult to respond instantly to the game’s instructions. In response to this issue, we developed the “Forms”, which would indicate how the Wii Remote needed to be held before each upcoming microgame, without having to stop and take the player out of the game even for a moment. The fact that this game is as fun to watch others play as it is to play yourself was another appealing factor which we focused on with this console version of WarioWare. 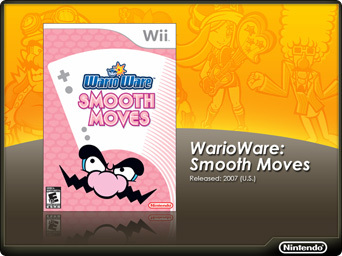 11 WarioWare: Smooth Moves was an instant action game for the Wii, released in December 2006 in Japan. It is the fifth title in the series. 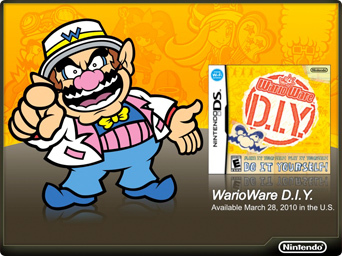 The latest title in the WarioWare series is WarioWare: D.I.Y12 for the Nintendo DS. 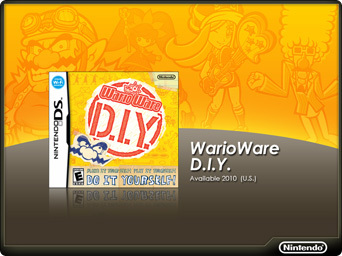 It has a related WiiWare title, WarioWare: D.I.Y – Showcase13. 12 WarioWare: D.I.Y. is a software title for the Nintedo DS, released in April 2009 in Japan. 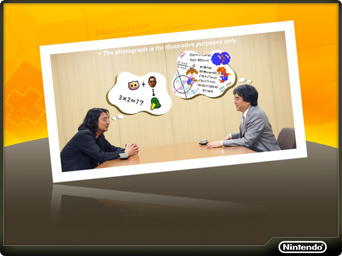 Players can create their own microgames similar to the ones that had appeared in the WarioWare series. 13 WarioWare: D.I.Y. Showcase is an instant action WiiWare game that was made available for download in April 2009 in Japan. It can be bought and downloaded from the Wii Shop Channel. In this game, the player creates their own WarioWare microgames - it came to be as a result of the individuality and ideas of the staff members who had directed the series from the beginning. The biggest draw of this title is how it challenges the player to be as goofy as they can be. And because players can share their creations with others, these creations can be polished and refined. If you want to hone your wacky game-making skills, it’s the perfect tool. 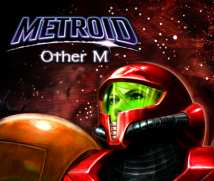 I also created my own Metroid-themed microgame. Please take a look. The next title I’ll be introducing is “TOMODACHI COLLECTION”14 (or Friend Collection). The concept behind this title, which is often shortened to TOMOKORE in Japanese, is all about “inside jokes”. 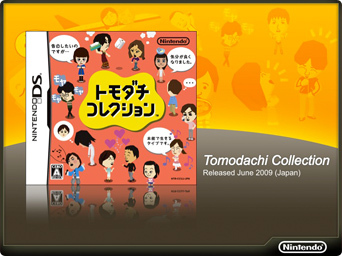 14 Tomodachi Collection is a Nintendo DS title released in June 2009 in Japan. It is a communication game that uses likenesses of the player’s friends. To explain it simply, it’s a little like “playing house” with the Mii characters that you created on your Wii and using them to “play dolls” – think of it as a game where players have fun playing “make believe.” I suspect that it’s hard to imagine just through a description, so I’ll show you a video later along with supplying a little more explanation. By the way, though not even a year has gone by since TOMOKORE was released, it’s been a huge surprise hit that is about to reach the 3 million sell-through mark*. 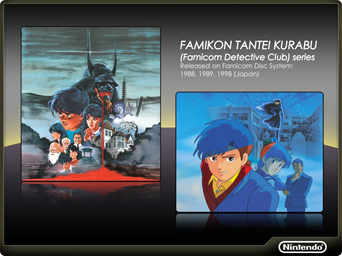 15 Famicom Tantei Club was a series of adventures games released for the Family Computer Disk System. The first title in the series, Famicom Tantei Club: Kieta Kokeisha, was released in 1988, and the second title in the series, Ushiro ni tatsu shojo was released in 1989. Games in this series are “command-style text-based adventure games” and the stories were horror-suspense themed. I went back and forth about whether or not to talk about them here but they were very important titles for me so I decided in the end to include them. There are many other titles that I was involved in, but I will introduce just one last title – one that I was involved with shortly after I started working on video games. 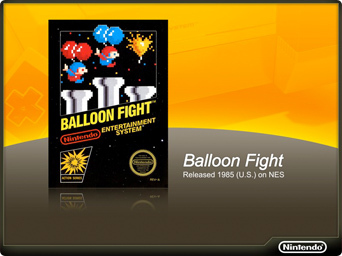 NES “Balloon Fight”16This is a stage-clearing type game with a heated versus mode. This was only my second ever project, and the programmer for this game was none other than Mr. Satoru Iwata himself. 16 Balloon Fight was an action game, released in Japanese arcades in 1984. The NES version was released in 1985 in Japan. So that you can imagine what it looked like back then… I created this picture.I hope that it conveys the difference between our two personalities.